The Eustace Diamonds is considered to be one of Trollope’s Palliser Novels, though the involvement of that famed couple, the beauteous liberal spitfire Lady Glencora and her hardworking husband Plantaganet Palliser is relatively minimal. In fact, they only appear as commentators on, and observers of, our actual main character, Lizzie Eustace. Ah, Lizzie, Lizzie, Lizzie. Was there ever a heroine so maddeningly silly and clever, dishonest but wronged, desperate and lovely? 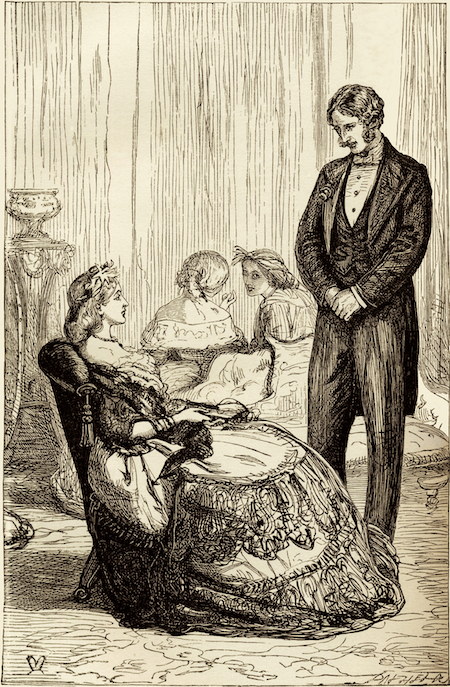 It was as though Trollope, on reading Thackeray’s masterpiece Vanity Fair, thought of writing a book where Becky Sharp is the main character – and has pot-loads of money. Well, Lizzie certainly has money. Born Elizabeth Greystock, daughter of an impoverished Admiral, she nonetheless plays her cards – essentially her stunning beauty and a voice for reading poetry – so well that, at twenty, she is a rich widow, having married Sir Florian Eustace and left, on his death, with a castle in Scotland and £ 4,000 a year for her use as long as she lives. Not that Lizzie agrees that it is only a life interest, gaily representing to all and sundry that her property is hers to do with as she wishes. But property is still immovable, and it is not her claim to Portray Castle in Scotland that worries her late husband’s family as much as her claim to the titular diamond necklace. Mr Camperdown, the family attorney thinks Lizzie has no right whatsoever to the diamonds, and will sell them at the earliest opportunity. John Eustace her brother-in-law, doesn’t really care, but allows himself to be guided by the attorney. Lizzie dismisses Camperdown’s repeated letters asking her to return the diamonds. After all, she has more important things to worry about. Lord Fawn (who had been so disappointed when his proposal to Violet Effingham had been rejected in the previous book, Phineas Finn) sees her money and needs it to burnish his own very middling income. But though Lizzie sees the value in a peer of the realm with a position in the Cabinet, her own sights are set on her cousin Frank Greystock, a handsome barrister who is also an MP, though as a Tory he sits on the opposition benches. Unfortunately for Lizzie, she has a rival for Frank’s affections – the plain jane Lucy Morris, who is governess to Lord Fawn’s sisters. Lucy is as kind-hearted as Lizzie is mercenary, but completely penniless. 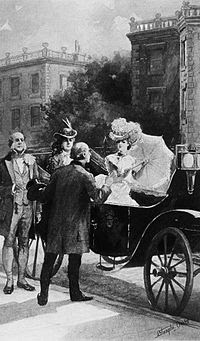 More complications arise as Lizzie and Camperdown spar over the diamonds, down to Camperdown stopping her carriage as she leaves London for Scotland. Lord Fawn is worried by the proceedings against Lizzie and wants to extricate himself from his involvement with her. But Frank, who is Fawn’s rival in Parliament (Frank leads the opposition’s attack on Fawn’s handling of the India Office) sympathises greatly with Lizzie and involves himself more than cousinly duty demands. 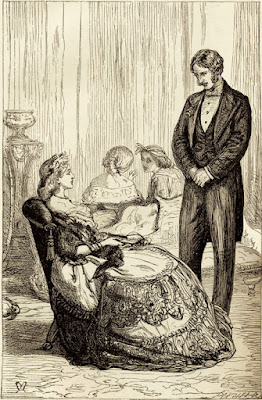 In Scotland, Lizzie surrounds herself with another motley cast of characters – the improbably-named Lord George de Bruce Carruthers (another suitor for her hand), Mrs Carbuncle, whose primary objective is to arrange the marriage of her niece Lucinda Roanoke, a haughty teenager, Sir Griffin Trewett and the oily clergyman Emilius, a greasy, grasping former Jew rumoured to be already married but representing himself as single. Scotland is also the scene of the by-now-mandatory foxhunt Chapter that’s as much a calling card of Trollope’s novels as Hitchcock’s self-inserts were in his movies. But on the way back from Scotland to London, the diamonds are stolen, and the book takes a turn from societal drama to mystery. 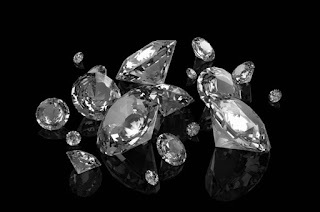 How the diamonds fare, the choices Lizzie and Frank make, how hard economics and soft social politics influence the decisions made by the characters in this novel – all make for a fascinating study. For a Victorian novelist, Trollope shows from the first Palliser novel (Can You Forgive Her) that he is skilled in handling complex female characters. No stereotypes here, each of the main female characters is well-realised and quite complex, and that’s not counting Lady Glencora, who may be a trophy wife and fashion icon to the world, but is a courageous and daring woman as well, exercising an influence on politics at a time when woman did not even have a vote. As for the handling of male characters, it cannot be denied that it was a little hackneyed in Can You Forgive Her, whose one-dimensional male characters were such a contrast to the well-realised Alice Vavasor, Glencora and even Mrs. Greengow. There is no cause for complaint in The Eustace Diamonds, however. From Fawn to Frank Greystock to the police detectives Bunfit and Gager, they are interesting fellows, with realistic natures. 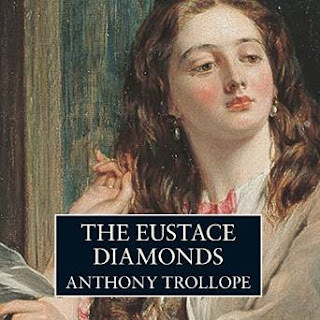 Plotting is complex in The Eustace Diamonds, though Trollope almost neglects the politics that is such a staple of his other books in this series. Apart from a few stray mentions of Plantaganet Palliser’s attempts at currency reform, the story focuses on Lizzie and Lucy, their love lives and the mystery of the diamonds. In a sense, this makes it perhaps more Dickensian than anything else. 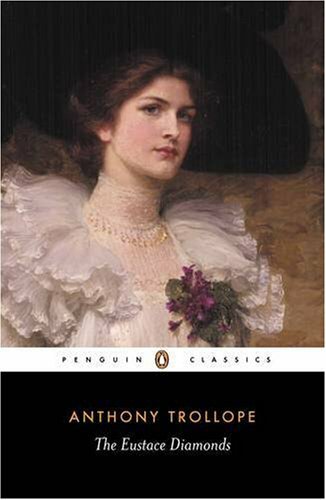 On the narration front, as with the other books of his that I’ve read, here too Trollope indulges in considerable author monologue, meaning there are interludes with a lot of telling and less showing. After the first two Palliser novels, this was not so unpleasant to me as it was in Can You Forgive Her, but at times it does appear that he was being paid per word and wanted to make the best of it. 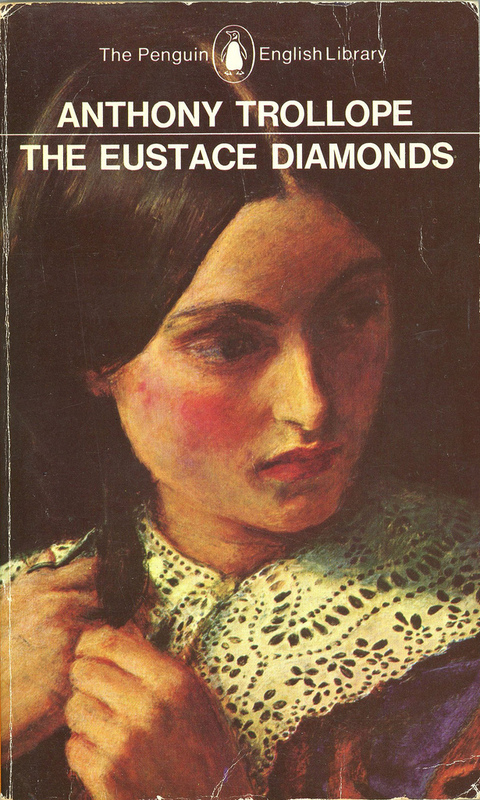 On the whole, I would say The Eustace Diamonds is an enjoyable ride through London and rural Scotland, seen through the eyes of a thoroughly and unabashedly amoral heroine. Lizzie Eustace is a magnificent character, a triumph for any author, wicked, false, incapable of love and yet possessed of such a bravado, a hankering for love and life, that I could not help but sympathise with her, especially at her eventual fate. Verdict? 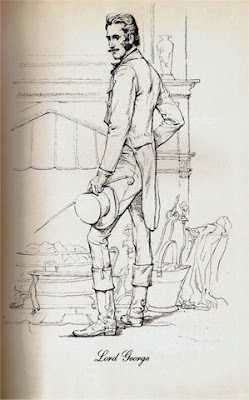 Trollope’s novels deserve to be read, but they are not necessarily every reader’s cup of tea. After all, some of us like coffee. I’m already impatient to read Phineas Redux, the next novel in the series. Some of you at least, would do the same. Interesting review. Maybe I will pick up something by Trollope this year.